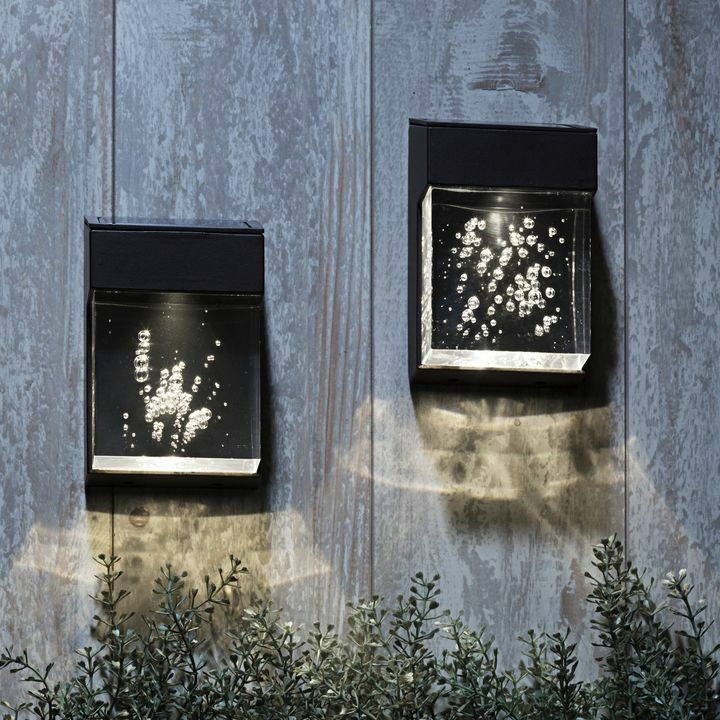 There are only 44 available of the Olwyn Solar Wall Light with Motion Detection, Set of 2. Your selected quantity has been adjusted. Features two black, wall sconces with a traditional shape - frosted panes and a tapered roof topped with a decorative finial. The sconces each contain a motion sensor and two warm, white LED lights. 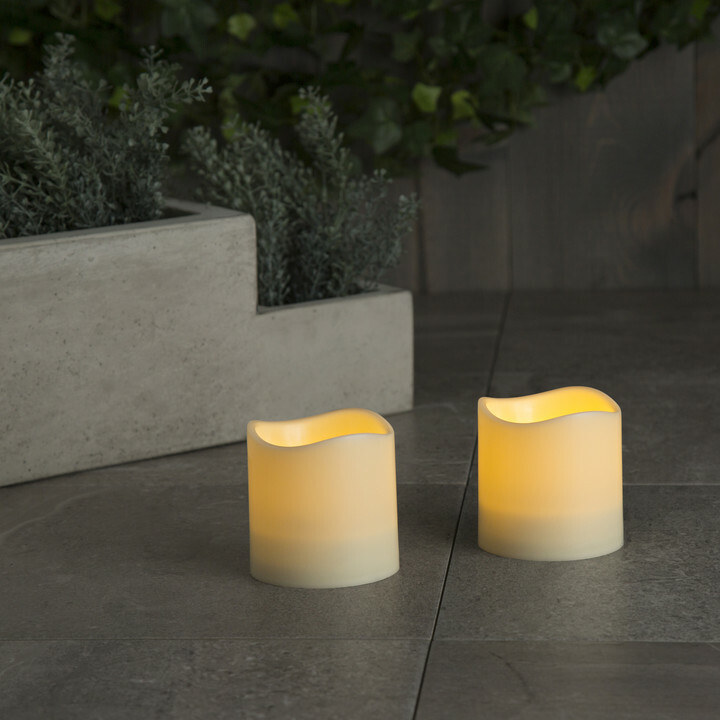 One LED remains on throughout the evening and is only joined by the other when the sensor is activated, providing extra bright light for sixty seconds. The sconces are solar-powered and virtually maintenance free. 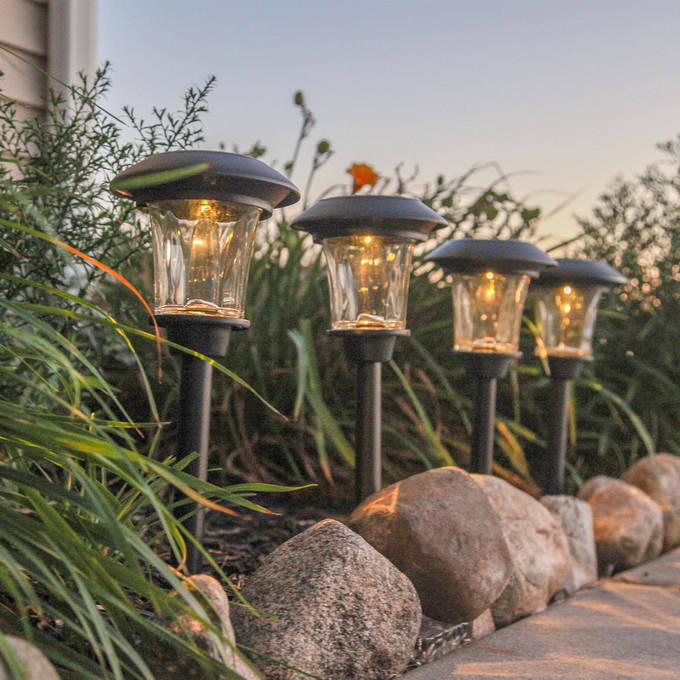 Activate the switches, and with the sun's help, the lights will recharge throughout the day and automatically turn on at dusk providing a warm glow well into the evening. Really great. Very pretty. Only lasted 6 months. The lights work well, but not as bright as other reviews led me to believe. Easy to hang. Small. Hope they last, but I've only been using for a week now. We just installed 2 lights next to our pool and they look fantastic! 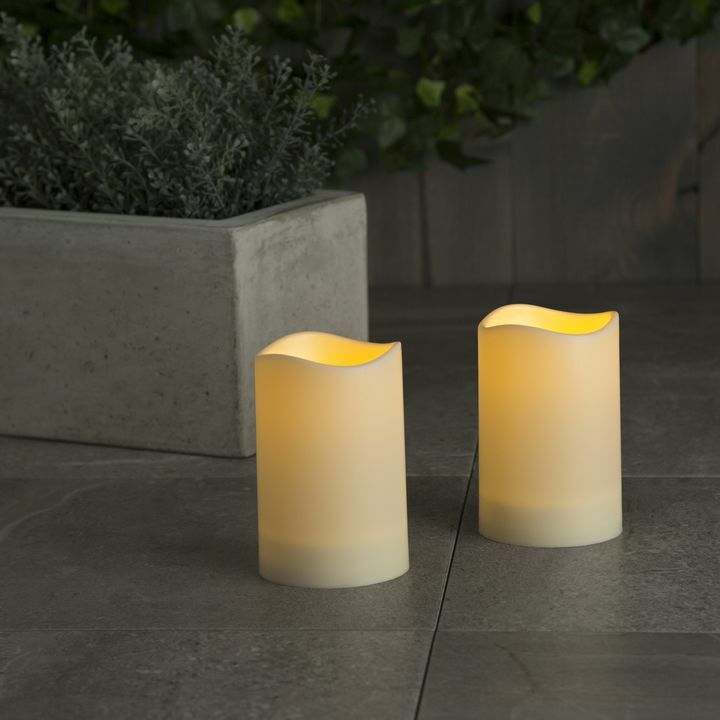 Great, warm, glow that turns a nice bright light when activated by motion. Ordering 2 more for another area of our yard. Highly recommend! Awesome light fixtures with great amount of light. Solar option is available as well that gives the lights a unique twist. Love them!!!! 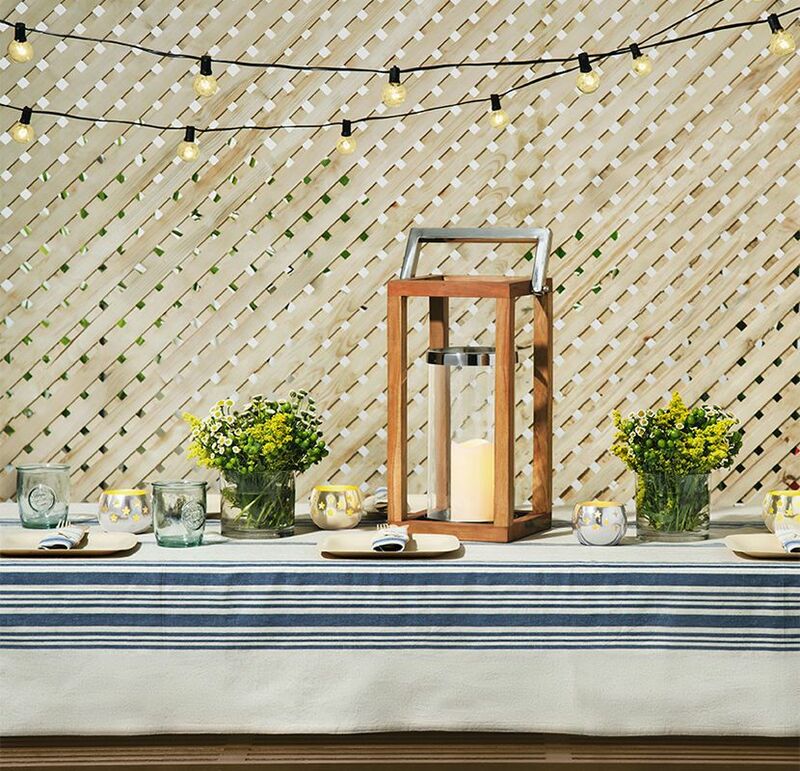 Great for night time entertaining in backyard. The lights are the perfect addition to my deck. Just the right amount of lighting needed for the space. A must have!! I put them on the outside of my shed. Not only look nice, but gives off perfect lighting. These are great, but like a lot of the other reviewers, I wish they were a little more heavy duty. Not sure how the plastic will hold up, but they look nice and provide the perfect amount of light for our deck stairs. After shopping for a month and reading reviews I decided on these. They fit perfect for what I wanted them for. Easy install and works great. Let it charge 2 days (actually a week / forgot about them), turned them on and they stay lit till day break. Works perfect, very well pleased. Will buy again. Lights are easy to install, give off decent amount of light and look nice. Only issue is they really need DIRECT sunlight with NO shade/shadows to properly charge and work. 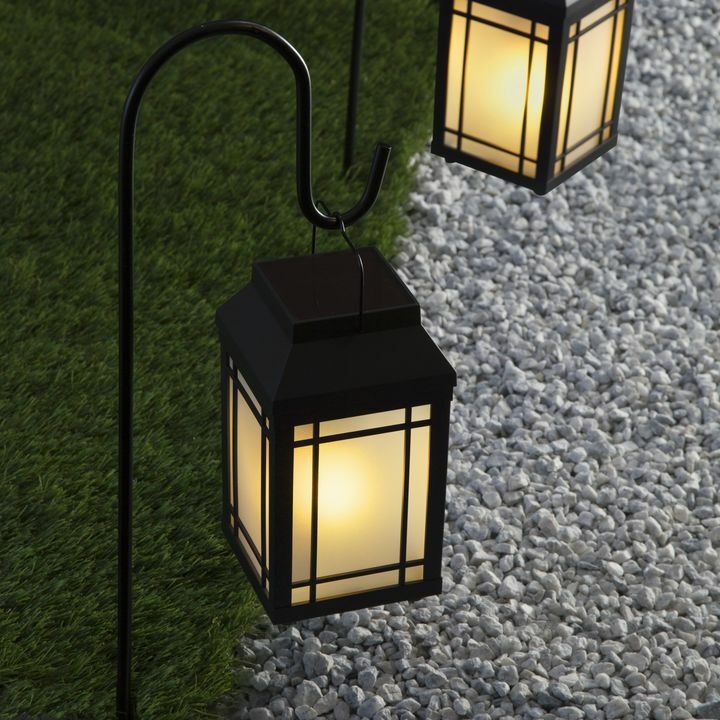 I bought two sets to go on fence, live on a dirt road and gets extremely dark, this brightens up the road and can see walking at night, also add a nice look to the fence. Love them! These are a great product for a great price! We have installed them outside of our garage. I recommend them! They are small but put off a fairly good bit of light. I bought 3 pair for my 150 foot driveway and it looks beautiful. 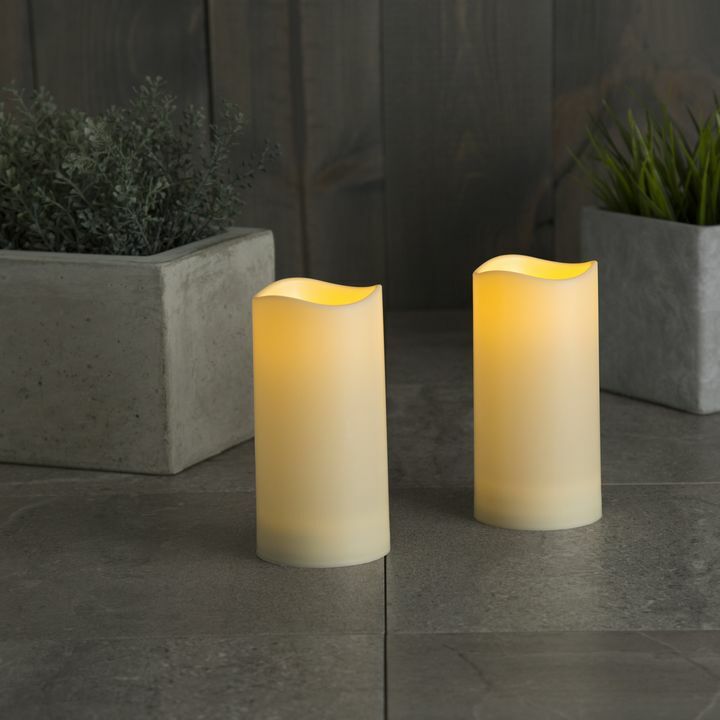 I highly recommend this product for anyone wanting that special ambiance touch, I bought 12 of them for my backyard and pool area and was in awe the 1st night with how much of a difference they made, I highly recommend this product. These lights are amazing! They look great in our back yard... they arrived in a quick manor we were excited to see they even came with hanging brackets. 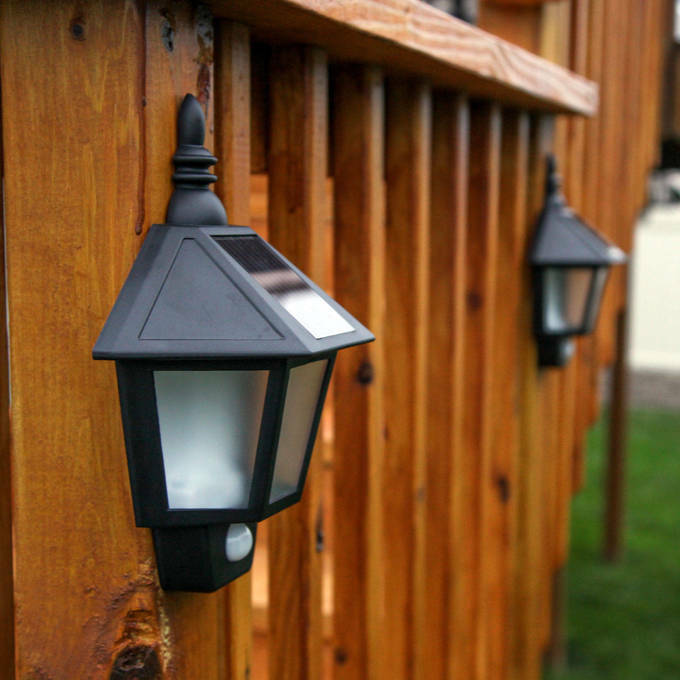 I previously ordered these solar lights for my garage, and they work so nicely I decided to purchase 4 more for my privacy fence along the drive. They are a great product, especially for the price! 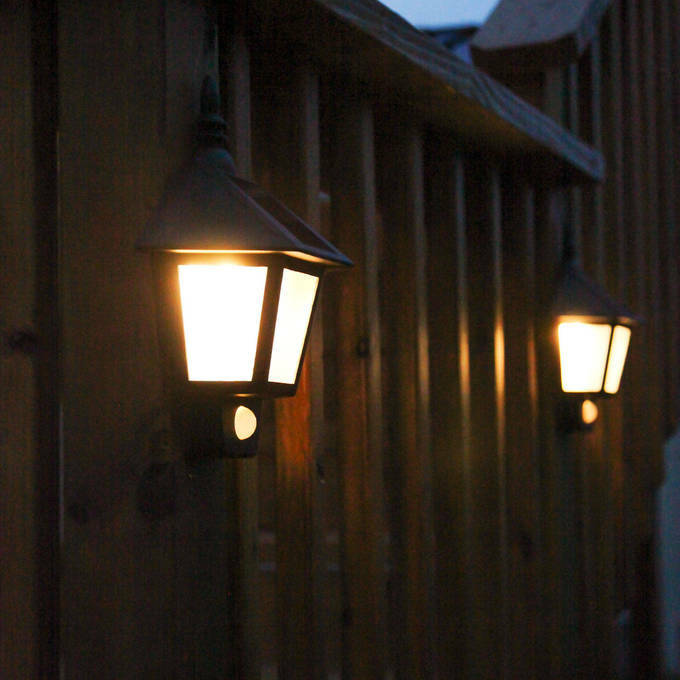 When placed in an area that gets plenty of sunlight, they stay lit on dim throughout the night! Bright mode when motion is sensed works well too! They last longer than other solar lamps I have. I like the sensor feature. They eventually power out. These add some ambiance to the front of our home. We placed them on opposite sides of our garage door. They look perfect. Just what we needed to dress up this blank area. Not a lot of light but are just right for our needs. I was skeptical but they are great! Ordering 2 more! 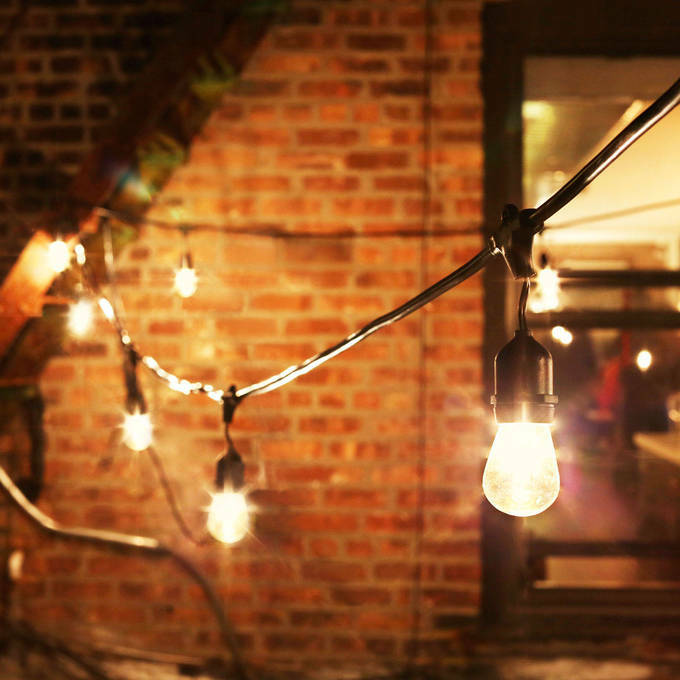 Wonderful, inexpensive lighting for a troublesome are of our home! Been in the dark for 20 years and finally found the right lighting for our needs!! Thank you!! These lights last all night, nice not having to worry about turning them on and off. They look cheap up close but you can't notice it from a distance. Cheap and looks good! Love the fact that these were a breeze to install (they look like they are hardwired exterior lights) The best part is they stay on dim until someone approaches them - they they come on full force! Great for security! Can this be set to only activate both lights when it senses motion, and to completely turn off? Sorry, Olwyn Solar Wall Light don't have that setting. At night they're dimly lit when at rest, and are bright when they detect motion. Is there any electrical wiring needed? The Olwyn Solar Wall Lights come ready-to-go. You just need to flip the ON switch and hang them up. What is the size of these lights? How long with the lights stay on after a full charge? 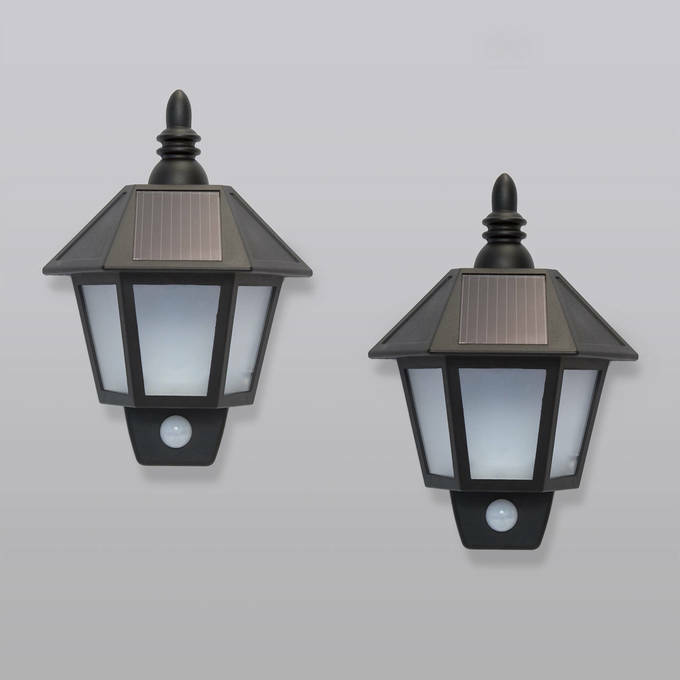 On a full charge, the Olwyn Solar Wall Light with Motion Detection, Set of 2 should give you about 6-8 hours of lights. If the Olwyn Solar Wall Light with Motion Detection, Set of 2 does not turn on; try changing the position. Since these walls lights rely on solar energy; many factors can affect them. Factors that include: changing of the seasons, less sunlight during the winter months and shady areas. If you had the wall lights for more than a year it is recommended to change the battery. This Light only requires one 1.2V AA Ni-MH 600mAh battery. Do the lights turn on and off on their own depending on sunlight? Do they turn on automatically when it gets dark? 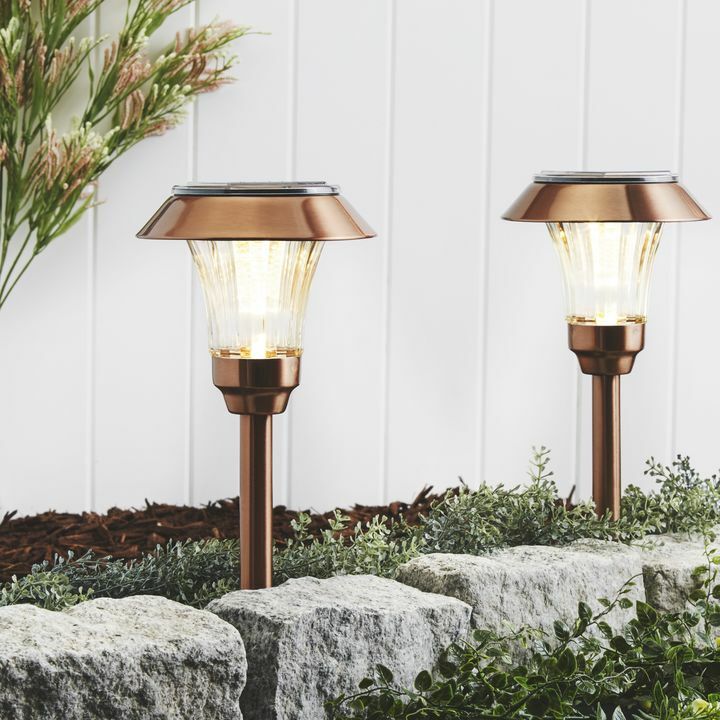 Do these lights function and brightly even on cloudy/rainy days? 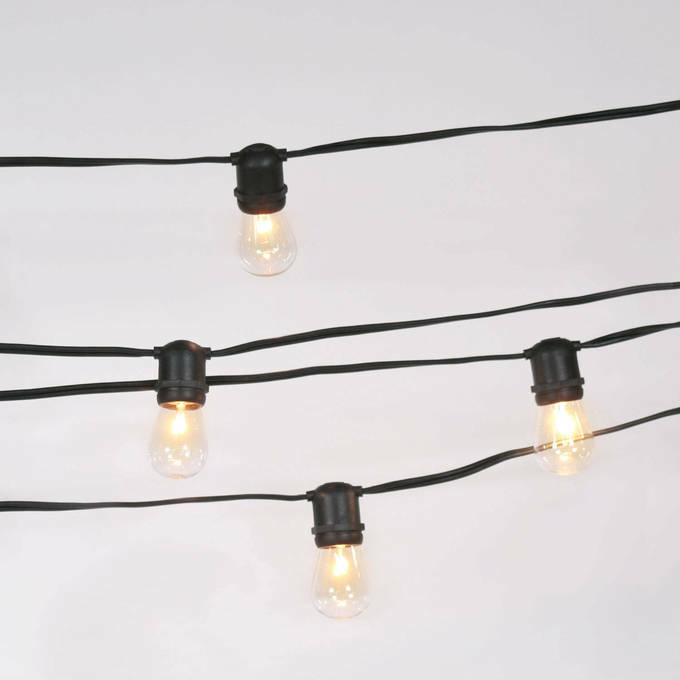 Can these lights be mounted on brick? 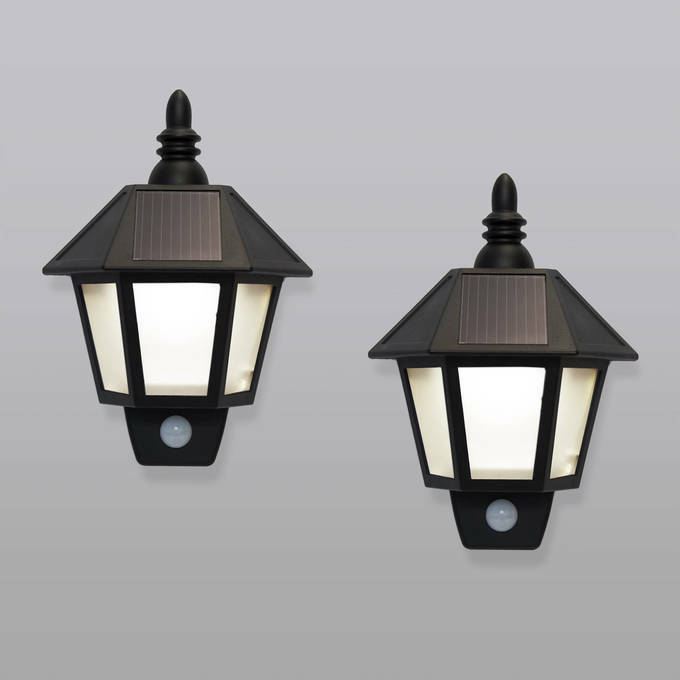 Yes, the Olwyn Solar Wall Light with Motion Detection, Set of 2 can be mounted on a brick. There's a hole in the back for screw or nail mounts. What are the dimensions of the Olwyn Solar Wall Light? What is the effective range on the motion sensor? Motion sensor detects movement up to 18 feet away. I would like to know since it's a motion light as well does the area need sunlight to work only or will it turn on still from just being a motion light? There is a solar panel located on top of the sconce where it needs to be charged for 8 full hours in direct sunlight in order for them turn on during night time. 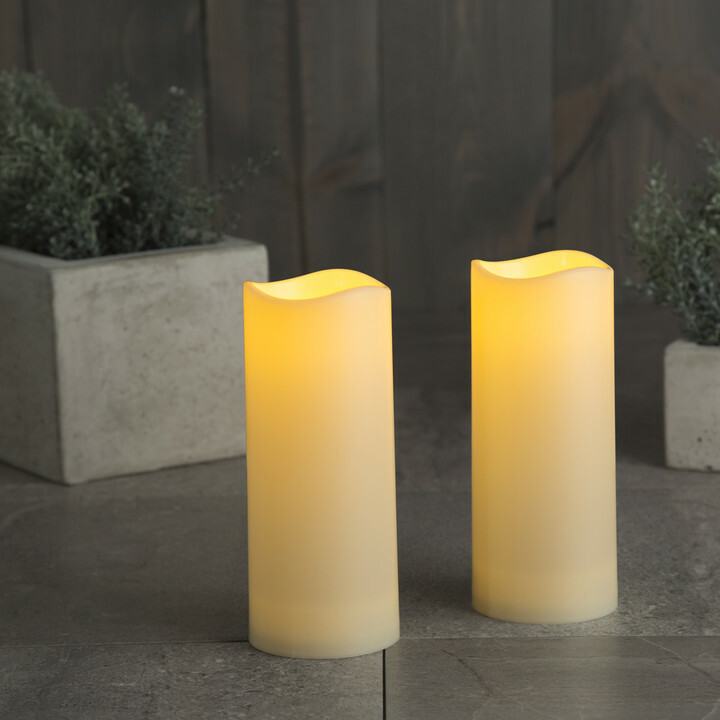 At dusk, lights power on with 2 warm white LEDs, and will maintain a bright light for up to 60 seconds or until movement has stopped, and then transitions to a single yellow LED, effectively saving power when a brighter light is not needed. The dimensions for the Outdoor Warm White Solar Sconce with Motion Detection are as follows: 8\" in length, 3.75\" deep, and 11\" in height. Do they make these lights in white? These currently only come in the one warm white color tone. How are these lights mounted? There's a hole in the back for screw or nail mounts. Can you tell me if you can turn off the motion detection and just have the lights on?